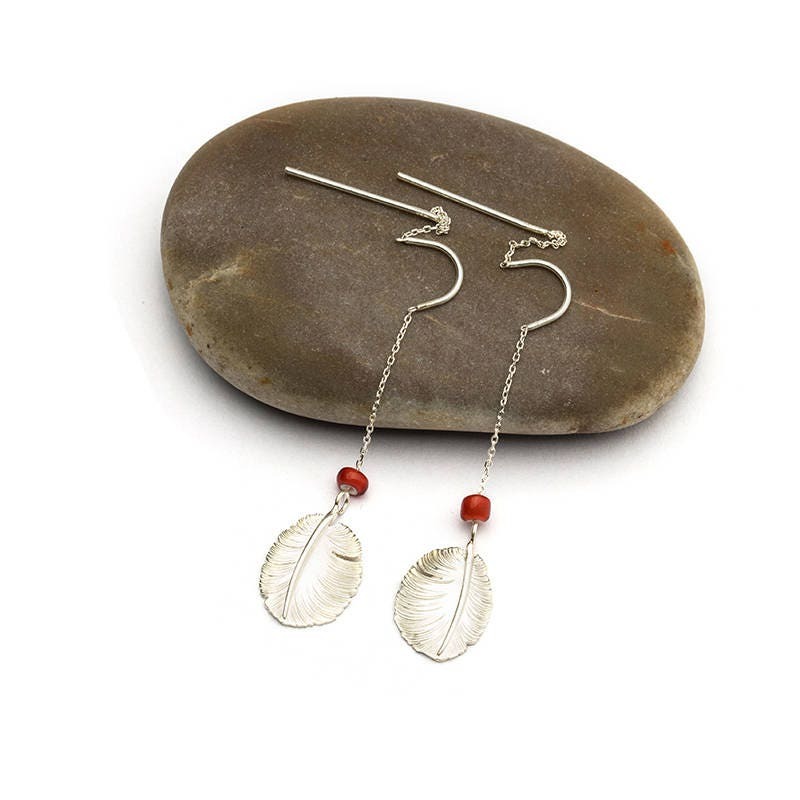 This feather earring is designed with threader to make the feather like the music notes that surrounding your ears. 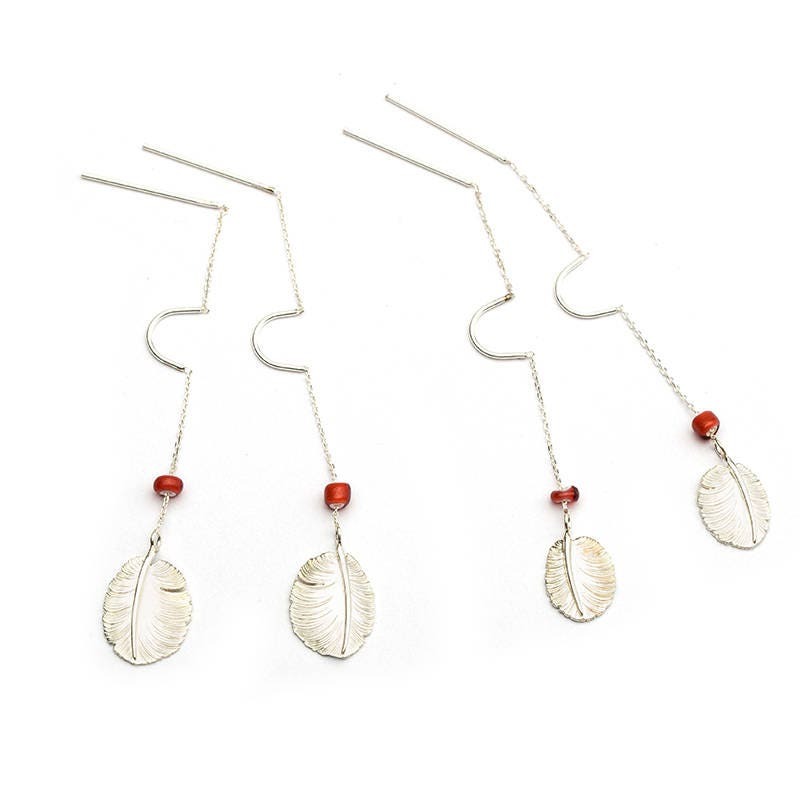 Cute, dainty silver feather earrings - inspired by Native American jewelry designs. 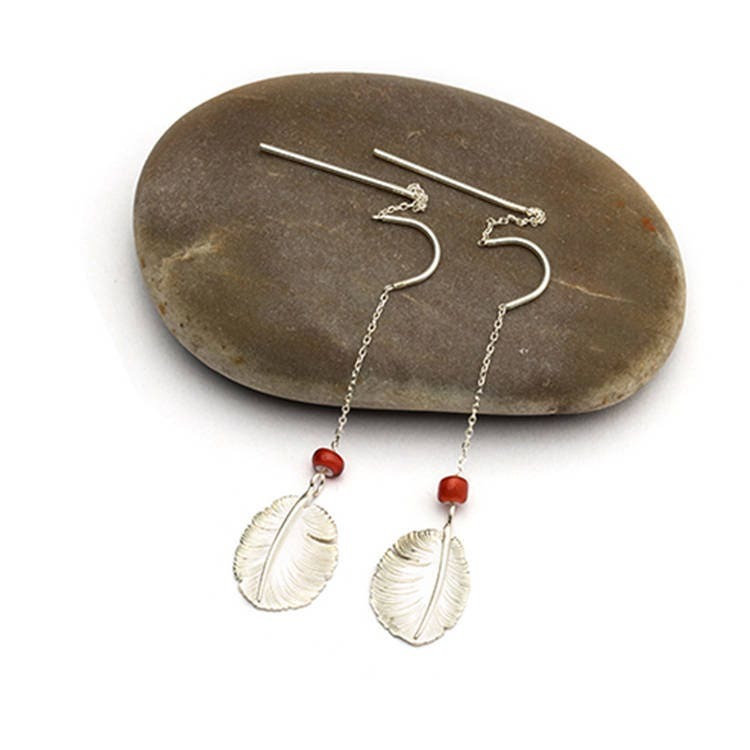 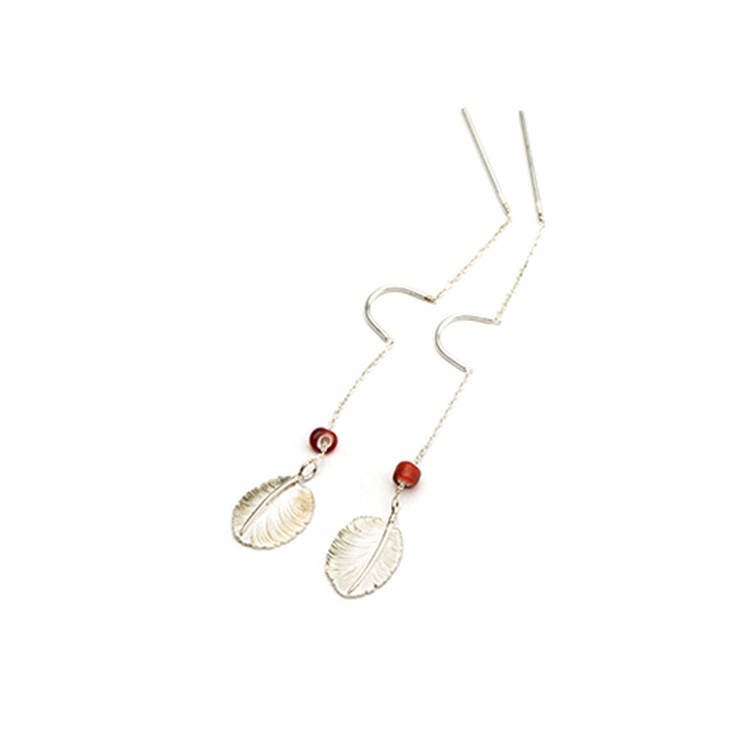 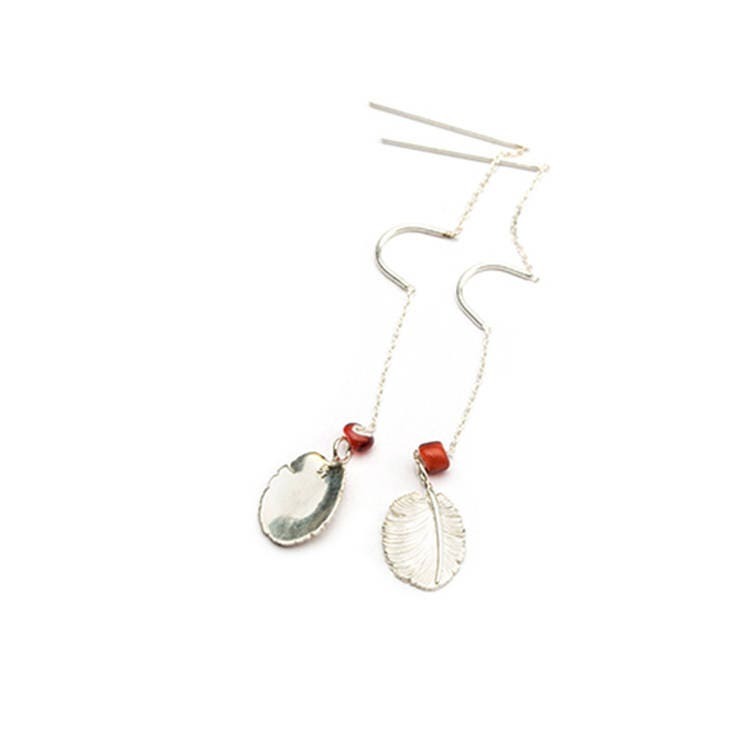 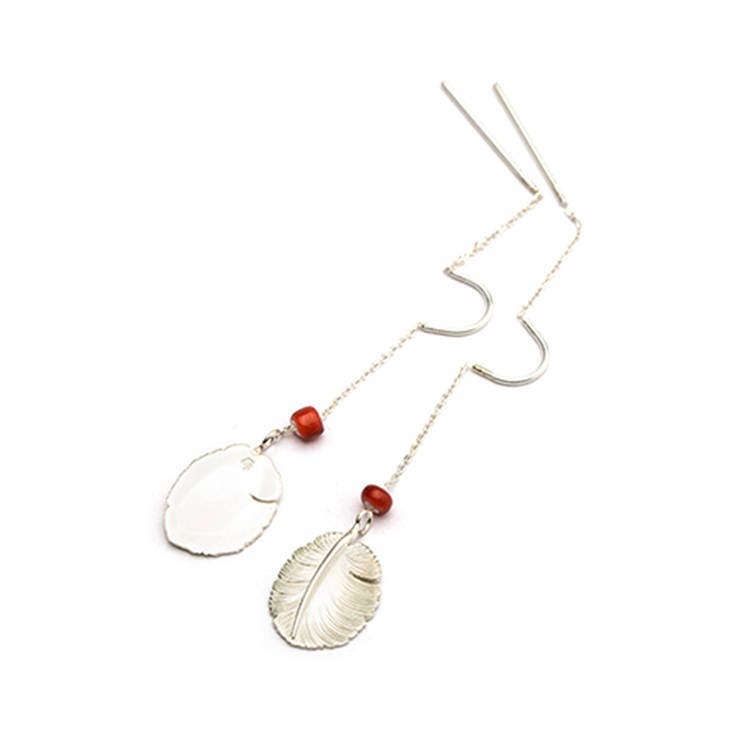 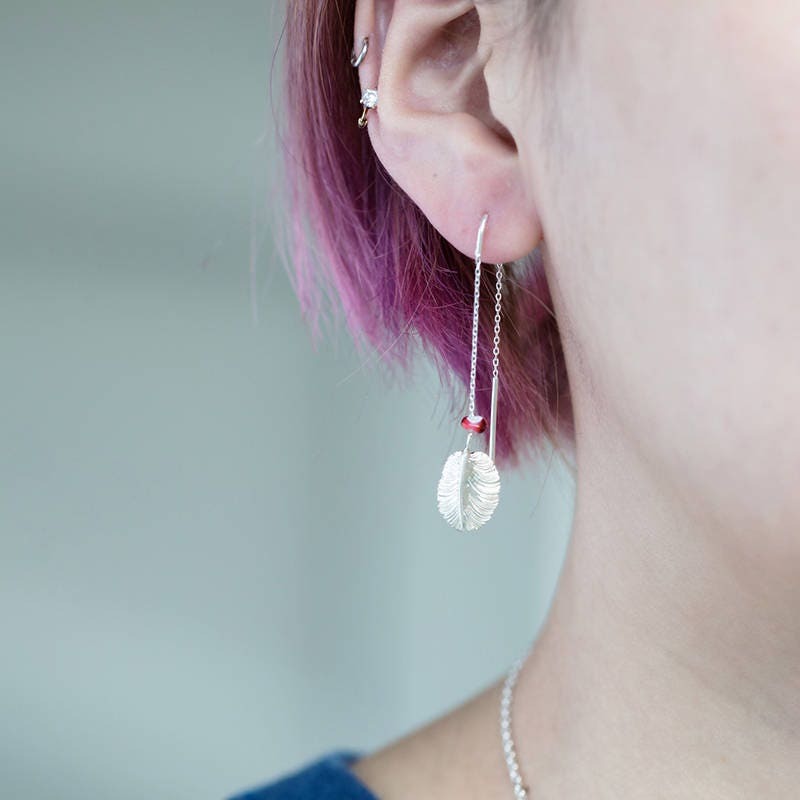 Crafted for simplicity and lightweight, with a realistic silver feather. 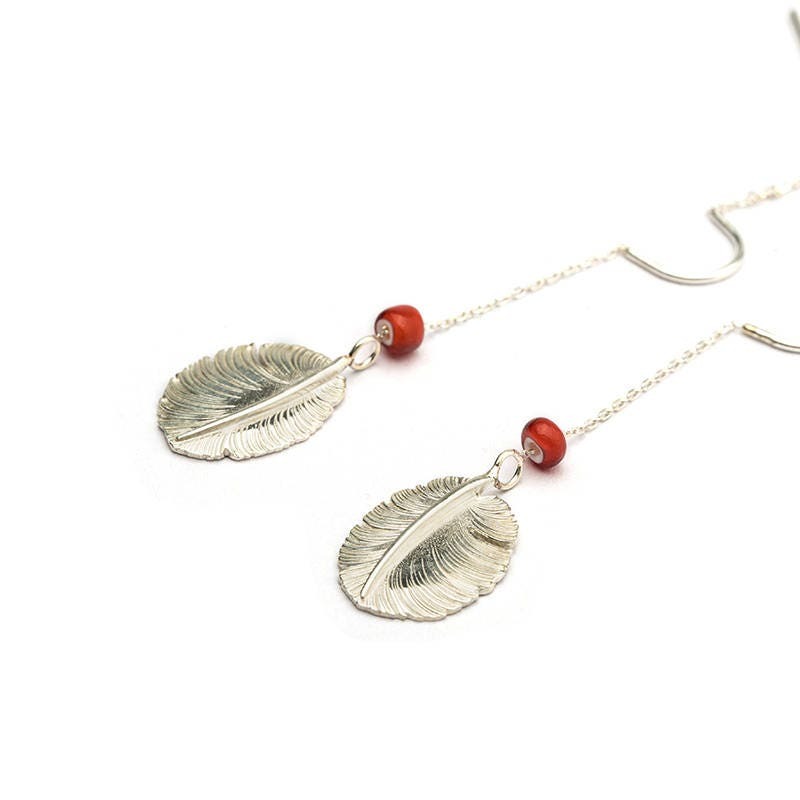 The tiny silver feather represents the small feathers of a red-tailed eagle. 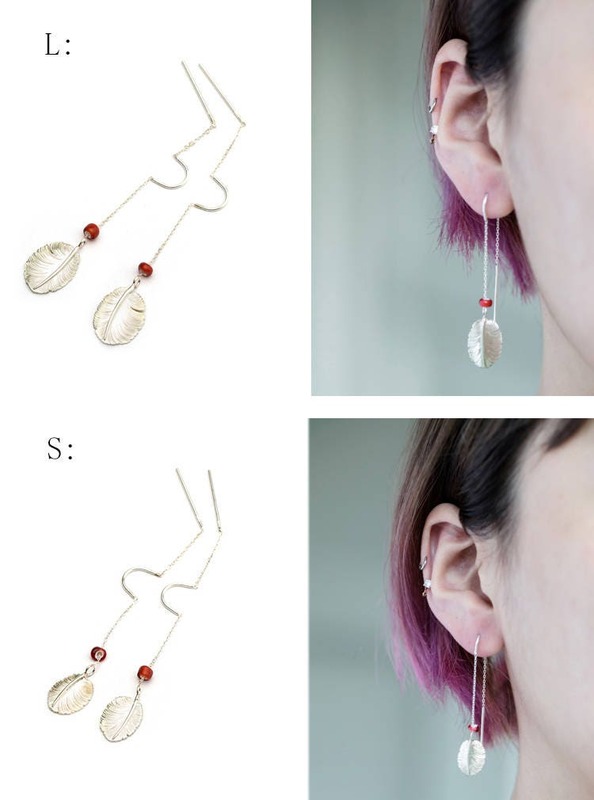 Sold in Single, you can choose left or right. 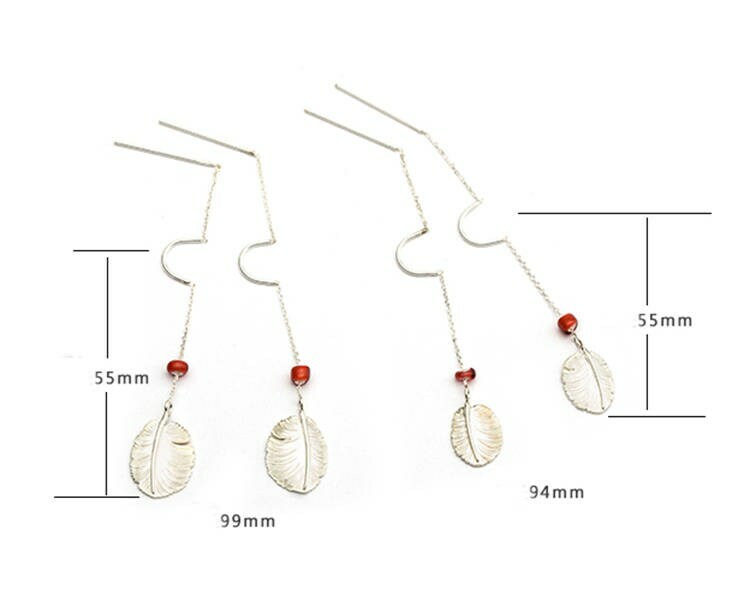 Detail length: see the pictures.